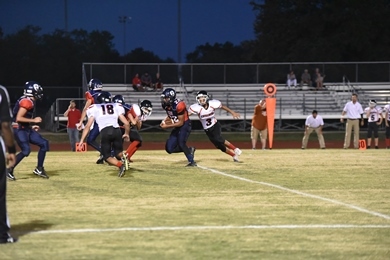 Wayne Stigler is in his first year as our Head Football Coach. Coach Stigler has well over 25 years of coaching experience at various levels including 16 years in the sixman game. He has coached at several ISD’s across the state including Veribest, Oglesby, Prairie Lea, Marathon and most recently Cherokee. He has spent several years coaching in the Canadian Football League, a local Professional Indoor Football League, as well as at several Texas Universities (East Texas State, now known as Texas A & M Commerce), University of North Texas, and Southern Methodist University). 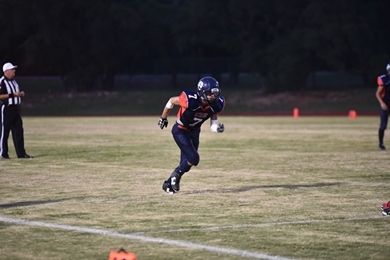 Coach Stigler has a passion for developing athletes in the unique game of sixman but more importantly he desires to develop young men of character. 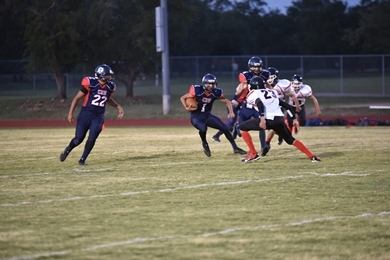 Coach Stigler is excited to be joining RRCA and building a successfull 6 man football program. We are blessed to have this caliber of coach as part of the Crusader Athletic Department. 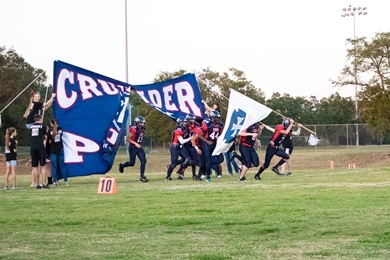 Crusader Football is a tradition-rich program that has established itself as a constant competitor in TAPPS Division I Six-Man Football. 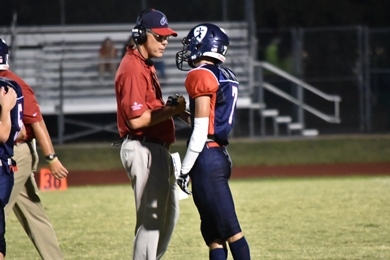 The RRCA Football coaches take pride in building a highly disciplined, Christ-centered program that focuses on character and skill development. To achieve authentic manhood and champion the cause of Christ on the field, in the classroom, at home, and in the community! Once athletes successfully complete our grueling 2 week summer training camp they are awarded their numbers and helmet shields at "Earn Your Armour Night." 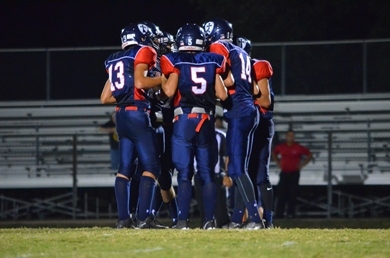 The coaching staff and players also share many of the “one liners” and “values” that make Crusader football unique. Toward the end of regular season play, 5th – 12th grade Cruader Football families come together for this program-wide event. At Legacy Night, senior members of the football program share the impact Crusader football has made in their lives, and charge their “band of brothers” to “carry the sword” after they have graduated. 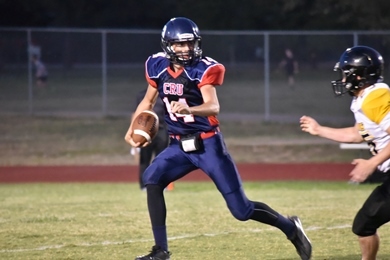 The RRCA Football staff has developed a system of summer performance training opportunities that focus on skill and character development for athletes at multiple levels. These opportunities include the following events. A map with directions to our varsity home field (Williamson County Regional Park) can be found here.